The woodyard looks idyllic in this shot. 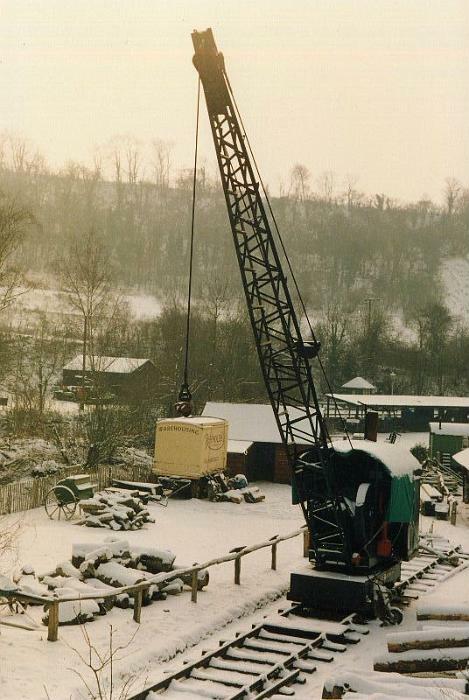 The Smith & Rodley steam crane stands sentinal. Not many people around.